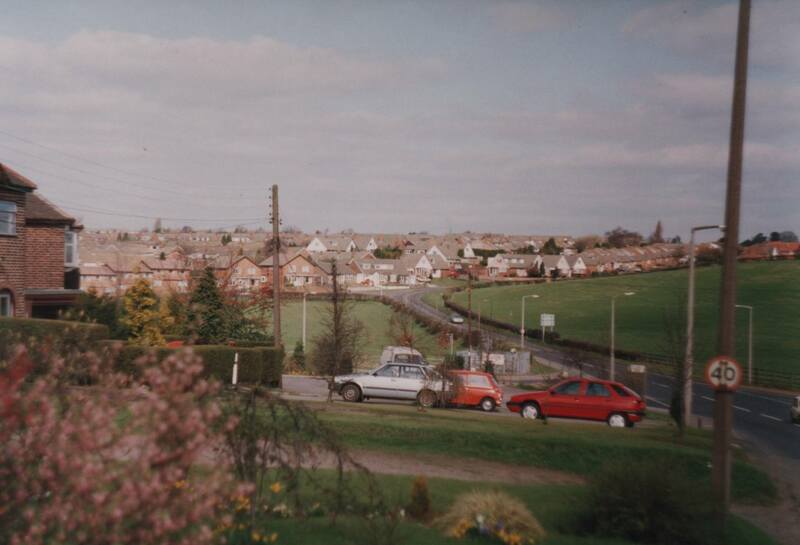 Ogley Hay Road, before the roundabout 1993. Image supplied by Wendy Jones. Oh my goodness, this is massive, and it all happened by chance. I was browsing Facebook the other day, and I noticed Chasetown lady Wendy Jones had posted some rather interesting pictures of Jasmine Cottage and the Wharf Lane/Triangle area. Intending to ask permission to use her pictures in a post on the blog, we got chatting. It turns out Wendy has a massive collection of images of the area taken in 1993, from both film and camcorder video, taken by herself and her father. Not only that, but there’s loads of material from 2001 as the M6 Toll was starting to be built. This is a remarkable collection of images that capture an area before, and subsequently undergoing, massive change. Throw in the effects of the 2001 Foot & Mouth disease outbreak, and this makes for a very engaging treasury. Over the last couple of days Wendy has put in a huge amount of work scanning and uploading images, each one with her own caption. I can’t thank this very generous lady enough. My father CIive Harper was bom 1930 and retired from work during 1993, after working 42 years for Ibstock Brick, Aldridge. Dad didn’t like having all this spare time suddenly thrust upon him. Bom a local lad into a mining family at Stock Hay Lane, Hammerwich to Arthur and Gladys Harper, I remember my Grandfather coming home from work as black as coal, he was a Hewer picking at the black gold to earn a living. Dad explored the local areas during his childhood with his two brothers and local friends. Over the years he had gained lots of local knowledge and enjoyed sharing his experiences. He had lived all his life in Hammerwich and Chasetown. He often walked to Brownhills as a child using short cuts across the meadows and fields. My father married in 1951 and started his married life at 15 Wharf Lane, living with his new wife and Grandmother. 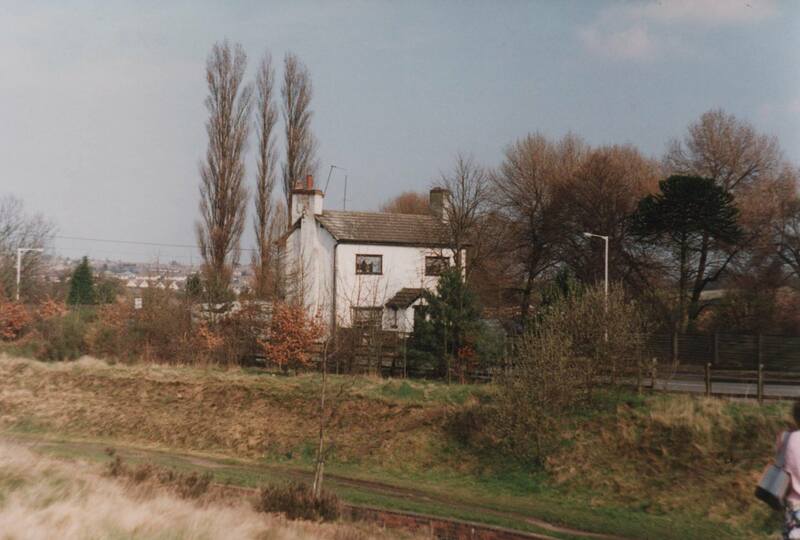 Old quary, Wharf Lane 1993. Image supplied by Wendy Jones. I’d forgotten that Rushton-Bucyrus excavator. During the years before 1993 there had been much talk about the forthcoming motorway (M6 Toll) and how it was going to change the local landscape. Twice weekly we would walk for miles different areas, perhaps Hammerwich, Chasetown, or Wharf Lane and the Triangle and the routes of the canals. We walked old public footpaths, down Dark Lane, Hammerwich (now fully overgrown), the old railway lines with wooden sleepers, he showed me the old wooden stables and talked about the pit ponies. We were aware these areas were going to drastically change. During our walks we decided to photograph and film various areas of local interest. Dad was aware Jasmine Cottage was going to be compulsory purchased and finally demolished to make way for the new motorway. 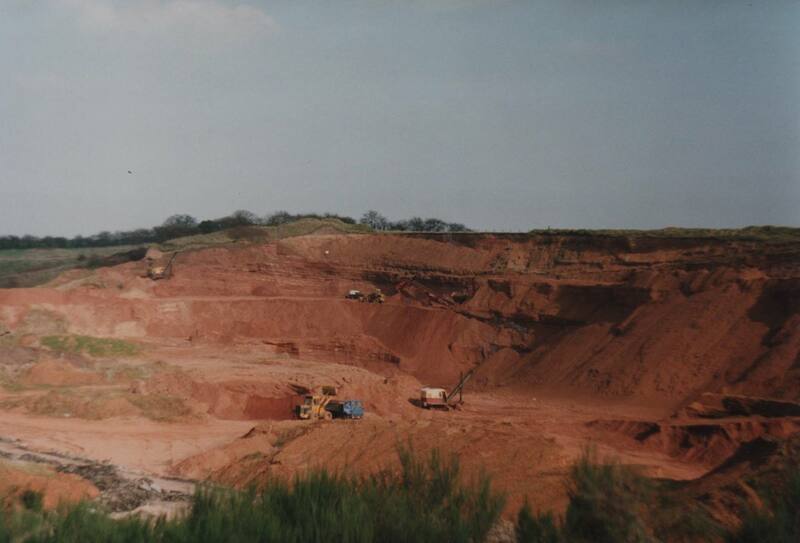 The old quarry was to be filled and the scramble track to be flattened. Dad showed me many points of interest, where the first drift tunnel was situated, the route of the railway line where the cuttings could be seen, the old sidings and canal wharf, where ail the local pits where once situated. We walked several times the old railway embankment towards Chamngtons Oil Terminal, walked Ogley Hay Road, Green Lane, Wharf Lane, Church Road and Hanny Hay Road and most of the lanes in the village of Chasetown, Hammerwich and Burntwood. Such a simple pleasure of walking and simply talking and reminiscing with each other, enjoying each others company in our beautiful countryside that we take for granted. The photographs are a cherished memento of our special times together. Sadly my Dad passed away during 1999. However, he loved sharing his photographs and he would be delighted that his photographs are still bringing much pleasure and enjoyment to many people. Jasmine Cottage. Thats actually me on the right hand side with the huge camcorder bag March 1993. Image supplied by Wendy Jones. My husband and myself carried on taking photographs in 2001 where they were cutting down the old trees and hedge rows and marking out the route of the direction the new road would proceed. 20 years on from taking our walks, the M6 Toll has been operational for 10 years. The photographs are our memories, and it is time that makes our history. Wendy has supplied lots more material, including family ancestry detailing the occupants of Jasmine Cottage, and lots of images of the construction of the motorway, which I shall save for subsequent posts. All the images remain property of Wendy Jones, so please don’t re-use them without permission. Some are scans, some are video stills and some early digital camera images. In each case these are the best quality available. Thanks again to Wendy for sharing such a great collection. What fantastic photos a real stroll down memory lane. Takes me back to my early years in Brownhills when we first got married. I have always thought myself extremely lucky to live in this beautiful part of the country and how really important it is to look after it all. Thanks for the memories – keep it up – loving it all. Thanks for sharing your photos and memories Wendy, and a big thank you to your Dad, R.I.P. i lived on whitehorse rd our garden went up to the troting track /Motorbike. i walked all those lanes and trails.but never had a camera.how i wish i had .thanks for your memories wendy. Wendy, what an interesting collection of photos. Strangely enough, I think my father and your grandfather were cousins, that is, if your great grandmother was Lucy Bradbury. I love your memory of your grandfather coming home from work covered in coal dust just like my grandfather, Alfred Bradbury. Granny, would get down the tin bath from the wall and everyone would bath in the kitchen. There was a canary in a cage in the kitchen too. I wwould love to know if you have any photos from an earlier time?